A third album of introspective post-folk from Berlin's Daniel Buerkner, and true to form, the music here is balanced between a kind of emotionally wrought frailty and weary, plodding tempos. The production makes for the perfect mirror for Buerkner's downtrodden, slightly awkward voice. On 'Kitsune' the guitar and piano is overcast with I See A Darkness levels of arch gloom, while the lead vocal croaks and sulks (in the most charming sense of the word) through the track. 'The Lines We Seize' opens up a little more, taking an electronically treated arrangement that brings to mind late-'90s Hood, complete with swirling, rusty old violin loops and minor key piano sequences. The title track manages to condense the Squares On Both Sides aesthetic into a three minute space perfectly: at various points in the song you'll think Buerkner's stopped playing, such is the distance of separation between some of those suspenseful chords. In those gaps you hear all manner of small incidental sounds happening off in the distance, but you keep being dragged back into the foreground by a stop-start close-up vocal recording, pressed up against the mic. 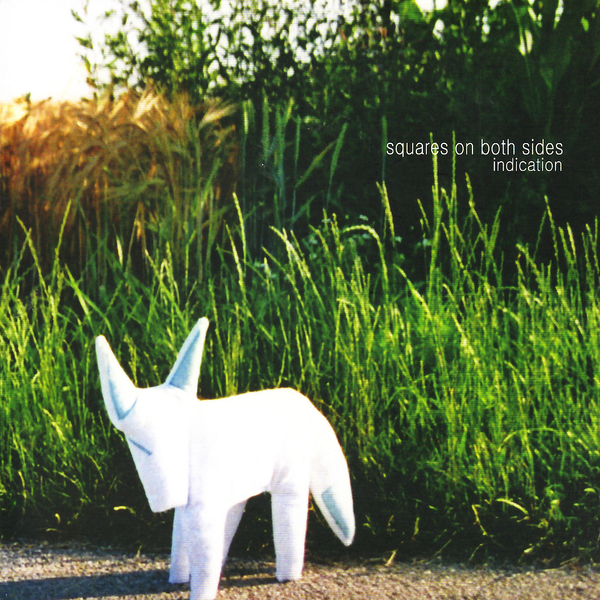 Digested as a whole, Indication brings to mind the work of Mount Eerie, the aforementioned Will Oldham, or perhaps even The Notwist, and as with those acts, the sad songs os Squares On Both Sides come with a decent helping of gravitas.